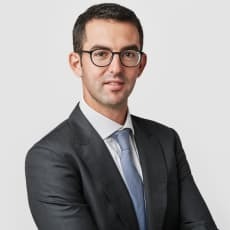 Isy Isaac Sakkal is an associate in the Geneva office of Lenz & Staehelin, where he specialises in banking and finance law. His practice also covers commercial and contractual matters. Mr Sakkal is admitted to the Bar in Geneva. He completed his law studies at the University of Geneva and obtained an LLM degree from the University of California, Berkeley in 2017.